I need to change my WordPress address and site address fields but they are disabled...now what? 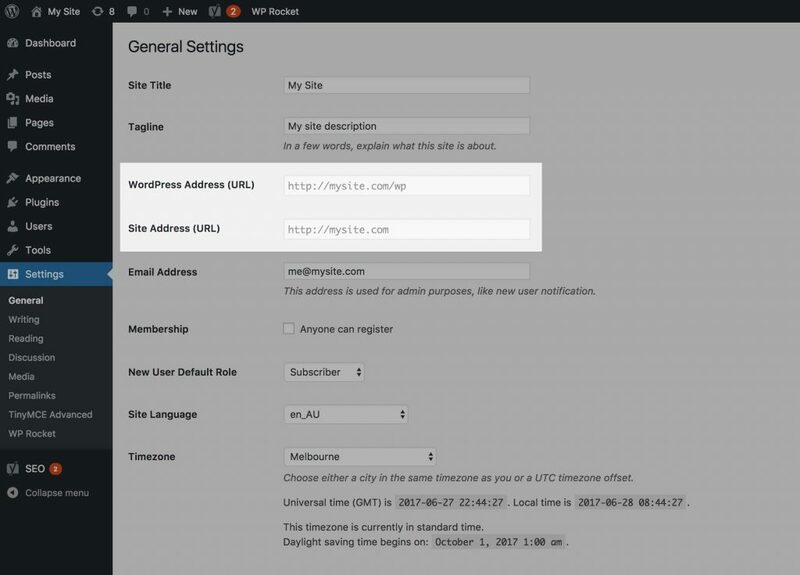 When these constants are set, the WordPress admin settings are disabled. The most obvious advantage is to prevent people from tampering with this critical setting. If you don't know what you're up to, changing these could definitely bring your site offline. Using the constants does mean WordPress doesn't need to query the database for the data – a negligible performance gain, so not a great reason to use them. By using these constants, we can have greater control over environmental differences. i.e; my local development site has WordPress in a /wp directory alongside the /wp-content directory, but the live site follows a different structure. By keeping these settings out of the database, I mitigate the possibility of killing my live site when I push the database to production. These constants make it much easier to move a site to a different domain, as we don't need to do any searching/replacing on the database to get the new site working. I'd rather use the admin settings...how can I enable them again? Just be prepared for the possibility of your site going offline if the current values in your database aren't correct. If this happens, you need to change the values in your wp_options table...or just work directly with the constants.